May I welcome you to our school. Established in 1977, under the sponsorship of His Majesty Sultan Qaboos bin Said, The Sultan’s School seeks to provide a high quality education which will lead directly to the world’s premier universities. The School’s excellent facilities, top-quality staff and impressive academic record have made it the leading bilingual school in Oman. Upper Primary which comprises Years Three, Four, Five and Six. There are six teachers each with their own assistant in KG. In Key Stage One there are four classes in each year, each with a teacher and an assistant. In Key Stage Two there are four teachers in every year group; two who teach the Arabic curriculum and two who teach the English curriculum. In addition art, music, information & communication technology and physical education are all taught by specialist teachers. Take care: of yourself, of each other and our world. If they follow these, their time in school will be both happy and productive. We will be proud of them, you will be proud of them, and they can take pride in what they will achieve too. It is essential that you as parents feel involved in the education of your child. This is a vital partnership. We want you to know that our doors are open and that we are here to help; so should you have any questions or concerns, please do not hesitate to speak with your child’s teachers or with me. Your child’s happiness is paramount. We seek to encourage every child to make the very best use of their God-given abilities and talents, both within and beyond the curriculum. We therefore prize excellence not only in academic subjects but also in the arts and in sport. Through laying the firmest of foundations in all aspects of education our children will grow into confident and happy students, who move on to the secondary school with the broadest range of skills, an enthusiasm for their studies and the determination to achieve to the very highest level. This is an exciting prospect and we look forward to working with you to make these aspirations a reality for your child. Once again, may I offer you the warmest of welcomes to The Sultan’s School. Dr Stuart Bradley joined The Sultan’s School in 2012 having worked as a head teacher in England for fifteen years. 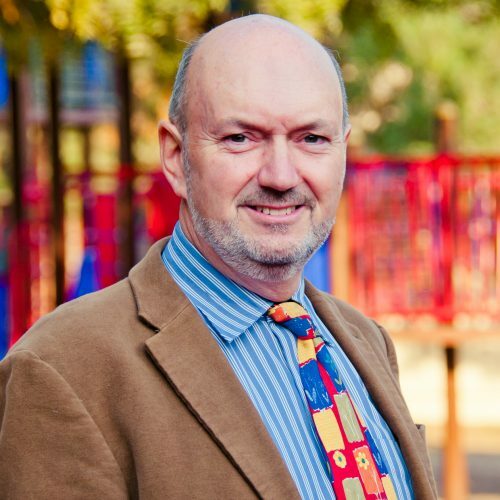 He has extensive teaching experience in both primary and secondary, and in boarding and day schools. Dr Bradley was awarded a Bachelor of Education (B.Ed.) from Oxford University; a Post-Graduate Certificate in Professional Development (P.G.C.P.D.) by Plymouth University, for work on the teaching of classics in primary schools; and a Doctorate of Philosophy (Ph.D.) from Bangor University for research in early Tudor history.